Who Brews Hair Of The Dog XPA? It's a common path to tread: that from home brewer to pro brewer. Even so, the story of the foursome behind Old Wives Ales is a little different from most. They met via the Merri Mashers, a home brew club that was only launched at the start of 2014 but proved to be one of the most proactive we've come across, reaching beyond the traditional world of home brewing and into the broader public sphere, including hosting a successful event at Good Beer Week 2015. 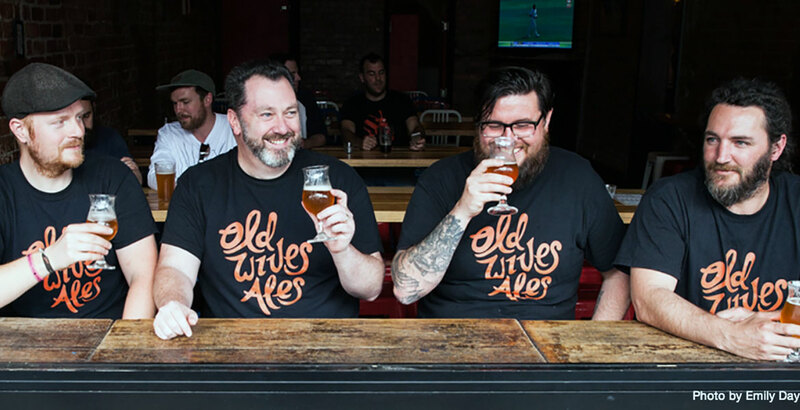 And now the club has spawned Old Wives Ales, with four of its members – Nathan Keatch, Justin Spicer, Shannon Brooks and Mattias Isaksson – stepping into the commercial realm. Their first beer, brewed at Kooinda, was officially launched at Carwyn Cellars yesterday (November 22); it's an uber-hoppy and dry XPA (somewhere between pale and IPA) called Hair of the Dog and is set to be the first of a series of beers inspired by, you guessed it, old wives' tales. Anyway, you don't need us to tell you about them as we posed some questions so they can tell the tale themselves. Nathan Keatch, Justin Spicer, Shannon Brooks and Mattias Isaksson – four home brewers who met as members of the Merri Mashers brew club. We’re brewing at Kooinda and the new Craft & Co in Collingwood. We’ve got plans in the works to team up with some other Victorian breweries too. Sometimes you’re just so into something you have to share it with the world. That’s us with beer: massive beer nerds. NK: I think I was set on the path about two minutes into my first mash in as a home brewer. That smell got its hooks into me and there was no turning back. SB: I starting home brewing many years ago. Gave it up for a few years and then had the space to start again. Found all grain brewing and really enjoyed the process of making beer. I have built many systems, my shed is a graveyard of many experiments, and I've now settled on a Braumeister. Previously I had never even thought of starting a brewery. That was until I got an offer I couldn’t refuse. Brewing with these guys is exciting. MI: Watching the charismatic Sam Calagione on the short-lived TV show “Brew Masters” definitely changed my views on beers and how they could be brewed. Things then escalated quickly: my tiny apartment back in Sweden developed a permanent hop aroma. I wanted to brew as often as I could, always trying to improve every brew. Brewing got me hooked big time and there was no going back. 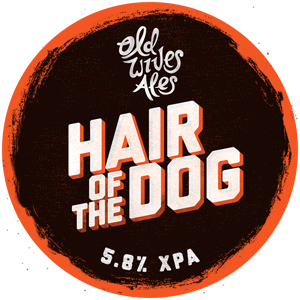 We’ve just released our first beer Hair of the Dog, a super hoppy XPA. Broken Mirror, our black saison, will be hitting the taps soon! Our beers are available in several bars around Melbourne and Central Victoria. We love the way people come together over beers to connect and tell stories, often retelling the good ones so many times that they kind of become famous among friends. We want people to come together and enjoy our beers and tell a few yarns, that’s why each of our beers is inspired by an old wives tale. NK: The Kegerator has some Hair of the Dog and a test batch of a black rye IPA. The fridge is looking a bit empty, with a few lone bottles of Bridge Road Bling Bling and La Sirene Saison. JS: I love brewing with wheat and am intrigued by sours so my taps currently have a hefeweizen and a Berliner Weisse hooked up. My fridge is as barren as Keatch’s from the sound of it, I mostly drink commercial beer at a craft bar rather than bring it home these days. SB: At this point in time I have a lot. Teaming up with these lads means a lot of test brewing! On tap I have a sweet stout, an ESB that’s in its second trial batch, black rye IPA, all Ella pale ale, all Jester pale ale, a keg of Hair of the Dog, Baltic chilli porter and many beers other brewers have given me. Spoilt for choice. MI: In the kegerator there's a raspberry saison, an imperial version of Hair of the Dog plus a blueberry porter. I also have a bottle of Rodenbach Caractere Rouge sitting there staring at me. NK: These days my kegerator is all about Old Wives Ales test batches. JS: I’m constantly trying new beers and styles so that’s a tough question. Kaiju and Weihenstephaner are the two that come to mind. SB: When buying beers I try to always go for something new or something I haven't tried before. MI: Besides Old Wives Ales test batches there are usually a couple of cans of Pirate Life pale ale and the occasional Saison Dupont. I always try and pick up something I haven't tried before when I visit the bottleshop. In ten years we hope to have our own brewery and still be making small batches of lots of different beers. 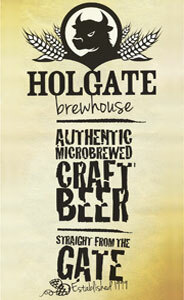 We hope that Old Wives Ales has become a name known for good quality and delivering interesting and fun brews. You can find a selection of other "Who Brews?" articles here. Photo at top by Emily Day of Froth magazine, supplied by Old Wives Ales.